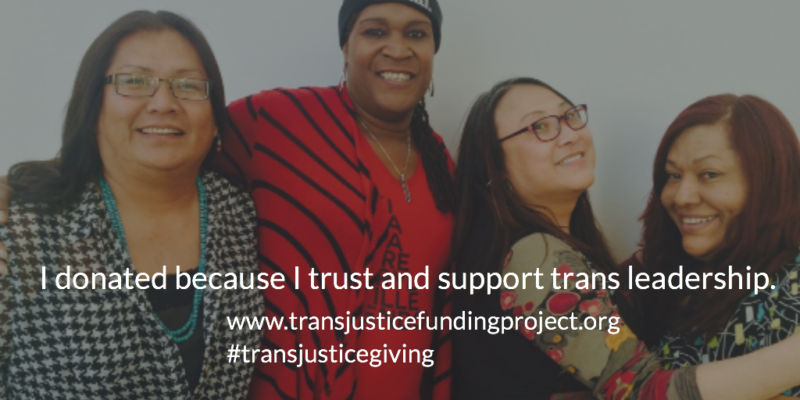 Please note: Your contribution to the Trans Justice Funding Project is not tax deductible. Because many grassroots groups are not 501c3s and don’t have fiscal sponsors, we’ve set up a new model to support these groups simply and directly. We think this model is an exciting opportunity to support grassroots organizing. But you can still make a tax-deductible donation to TJFP here via our donor-advised account at Tides Foundation, if you prefer.